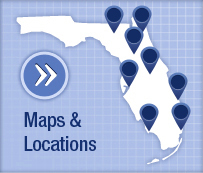 The Department of Orthodontics in the College of Dentistry welcomes you to our clinics at the University of Florida. We provide all types of orthodontic services for children, teenagers, and adults including surgical and craniofacial anomaly treatment. A dentist or physician usually recommends braces to improve a patient's physical "orofacial" appearance. Through orthodontic treatment, problems like crooked or crowded teeth, overbites or underbites, incorrect jaw position and disorders of the jaw joints are corrected. The benefits of orthodontic treatment include a healthier mouth, a more pleasing appearance, and teeth that are more likely to last a lifetime. Each of the departmental orthodontists sees their own private patients in this clinic. Any patient is eligible for treatment in this clinic. Fees are based on the difficulty of the case and fee range estimates are discussed with the patient at the initial screening appointment. Final fees are established prior to the start of treatment after complete records are taken and the orthodontist has written a complete treatment plan. In Faculty Practice, treatment can be initiated at anytime, a typical appointment takes between 15-30 minutes, and morning or afternoon appointments are available. Date of receipt of deposit will determine the spot on the waiting list; typically the waiting list can vary from 3-6 months. However, the list may be longer or shorter depending on demand. Please understand that we try to treat everyone as soon as possible. Appointments must be made with the assigned attending orthodontist. These are on a certain half-day of the week and are not flexible. If you are seeking treatment for orofacial pain, please visit the Division of Facial Pain web page for more information. Whether you would like to be treated in faculty practice or in the graduate clinic, all patients begin with a screening in faculty practice. This is a brief, cursory examination of the teeth, jaws, and mouth. No referral from a dentist or physician is needed; self-referrals are welcome. The American Association of Orthodontists recommends that every child be screened by an orthodontist by the age of seven. Often, this early intervention results in less costly and less comprehensive treatment requirements. Please call 352- 273-7960 to arrange a screening appointment. You will be provided an estimate of the treatment charges, advised of payment options, and given the option of choosing to be treated in either faculty practice or in the graduate clinic. Questions are encouraged so that you can make a well-informed decision on what is best for you or your child. You will schedule a records appointment. Fee: $160.00 due at time of appointment. This fee is non-refundable once the records have been taken. Treatment typically requires 2-3 years to complete. Fee: Payment in full or down payment if establishing a contract with the college. Carefully read over the fee sheet that was given to you at the screening appointment. Mail in a Deposit/Records Fee of $160.00 to be placed on the waiting list. This fee is non-refundable. Two to three weeks after the records appointment, there will be a consultation where the diagnosis and treatment plan will be presented and discussed. There is no fee for this visit. Treatment typically requires two to three years to complete. Fee: Payment in full or down payment if establishing a contract with the college. For the first day or so, stick to soft foods. Avoid tough meats, hard breads, and raw vegetables. Before long, you'll be able to bite firmer food again. But you'll need to protect your orthodontic appliances when you eat for as long as you are wearing braces. What if I do not want metal braces? There are many options today for those patients who do not want metal braces. For an additional fee, clear ceramic braces and a new treatment option called Invisalign are available in our clinics. University of Florida Department of Orthodontics is one of the leading research sites in the nation for this new treatment technology. There is no one answer to this because each orthodontic problem determines its own best starting time. For this reason, the American Association of Orthodontists recommends that every child first visit an orthodontist at age 7. This allows the orthodontist to determine when a child's particular problem should be treated for maximum improvement with the least time and expense. Orthodontic treatment can be successful at any age, and about 25% of orthodontic patients today are adults. The biological process involved in tooth movement is the same in both adults and children. Is dental work free at the College of Dentistry? No, this is not a free clinic. 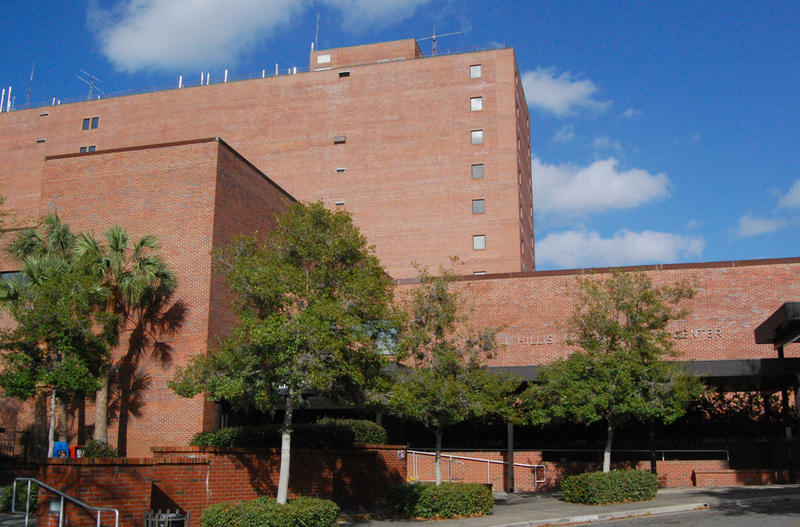 Even though the University of Florida College of Dentistry receives some State funds, there are fees for procedures that go toward the operation of the clinics that make it possible to offer ongoing services at reasonable prices. However, the option of being seen by a resident or student dentist is considerably less expensive. No, Orthodontics does not file any type of insurance. Patients are, however, encouraged to file on their own for reimbursement and may speak with the Financial Counselor in Faculty Practice, Leigh Ann, at 352- 846-2600 for help or advice. Obtain a referral from your dentist or physician. The referring doctor must provide a detailed description as to why the patient needs orthodontic treatment. This description may be faxed to 352-273-6316 or you may bring it to the Orthodontics Faculty Practice desk in D1-13. After a faculty orthodontist has screened the referral, you will be called to inform you whether or not your child may qualify for treatment. If your child appears to qualify, a screening appointment will be scheduled. At the screening, if the orthodontist decides that your child may meet Medicaid's criteria, he/she will need to be seen in the graduate clinic so that records may be taken for approval by Medicaid. Your child will be placed on the graduate clinic wait list; you will be called to schedule a records appointment when an opening becomes available. Yes. When you call to set up a screening appointment, let the receptionist know that you have CMS. You must bring your CMS form to the screening appointment. 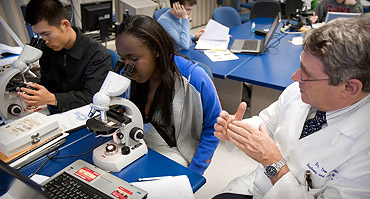 UF College of Dentistry students and faculty participate in programs such as the We Care Physicians Network (352-334-7926).Such programs provide limited services for qualified individuals that may be reduced in fees. To obtain a copy of your medical records from UF Health Faculty Orthodontics, please contact 352-273-7960. 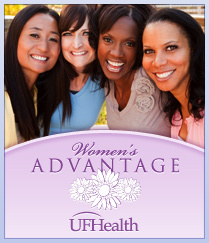 We accept Assurant and the Eagles dental plan now offered to UF and Shands employees. If you have different dental insurance that can be used with any provider, you will pay us at the time of service and file with your insurance company for reimbursement. We can help you with that.